Hello gamers in the house, I have a good news for you guys; a new gaming phone is here courtesy of Chinese company Xiaomi and the name of the device is "Black Shark". In this post, I will write down all I have read and seen so far as far as this device is concerned. Though I'm yet to handle the phone. Xiaomi black shark gaming phone is a rugged device that has a 5.99-inch FHD+ display, powered by Snapdragon 845 SoC with up to 8GB RAM. 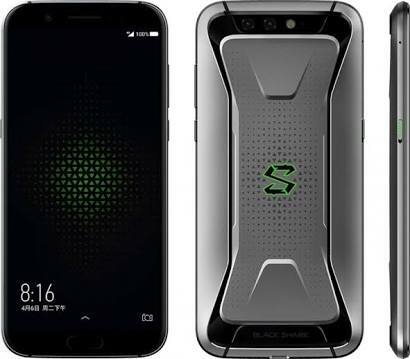 It's however, worthy to note that Black Shark does not have a microSD slot, but comes in two versions – 6 GB RAM + 64 GB internal storage or 8 GB RAM + 128 GB storage. 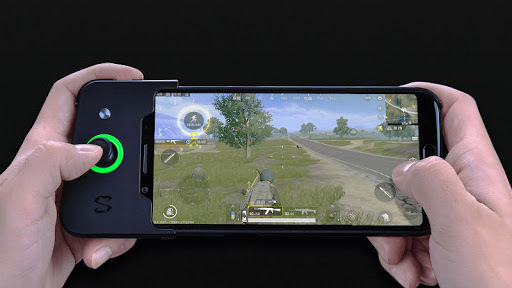 For more optimal performance when gaming and multitasking, the smartphone is uses a multi-stage integrated liquid cooling system that cools the phone CPU temperature down to 8° C. That's amazing right? Oh yes. For more better graphics, the on-board image processing chip is new by MEMC that delivers sharper colors and overall smooth performance when needed. According to this source, there is a dedicated image processing chip from Pixel works offering intelligent motion compensation technology, image enhancement, dark scene detail processing, for smooth video quality when gaming. It has ‘X-style’ unique antenna design so that there are no signal issues when hold the phone both vertically or horizontally. Other features of Xiaomi Black Shark includes Android Oreo, topped with JOY UI, which is a custom launcher that shares some of its apps with Xiaomi‘s MIUI. Dual rear camera (12MP+20MP) plus 20MP selfie camera. You can attach a Black Shark Gamepad that is similar to what Nintendo did with the Switch. The first 50,000 buyers will get it for free. It has a 340 mAh battery on its own and can connect via Bluetooth. There is also a dedicated “Shark” button on the left side that lets you devote all hardware resources to your game so you get all the available performance. It's not all, the phone features a powerful 4000mAh battery. As you can see it's not a low-end phone. Device for the gamers and multitaskers. Black shark will be priced at; 8GB+128GB version cost $557, while 6GB+64GB cost $477. And it's available in online stores worldwide. SEE ALSO: Download Latest Games to your Android phone.